With summertime fading away and everyone getting back to their regular work routines, it can be useful to keep an eye on what this fall has in store for us in terms of talent management and HR oriented conferences. HR technology is in constant flux, so it helps to have your finger on the pulse of the industry. 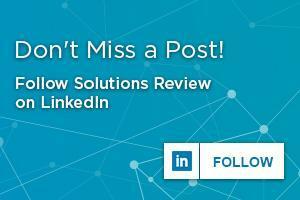 Here at Solutions Review, we do our best to provide IT professionals with the top talent management and HR technology best practices, news and buyer’s guides, but sometimes you need a little extra push, the kind you can only get in person. We understand, and that’s why we’ve created this list of the top talent management and HR conferences and events for fall 2017. If you’re looking for top-notch speakers, vendor demos, and networking opportunities, then these should be your go-to, must-attend events, so check them out. “As the emphasis on innovation continues to intensify in the world of business, the importance of finding and developing the right talent has grown exponentially. And it has definitely caught the attention of top leadership. Increased scrutiny on the performance and potential of the workforce means intense pressure on corporate learning to become an essential cornerstone of business success. What does this mean for learning leaders?